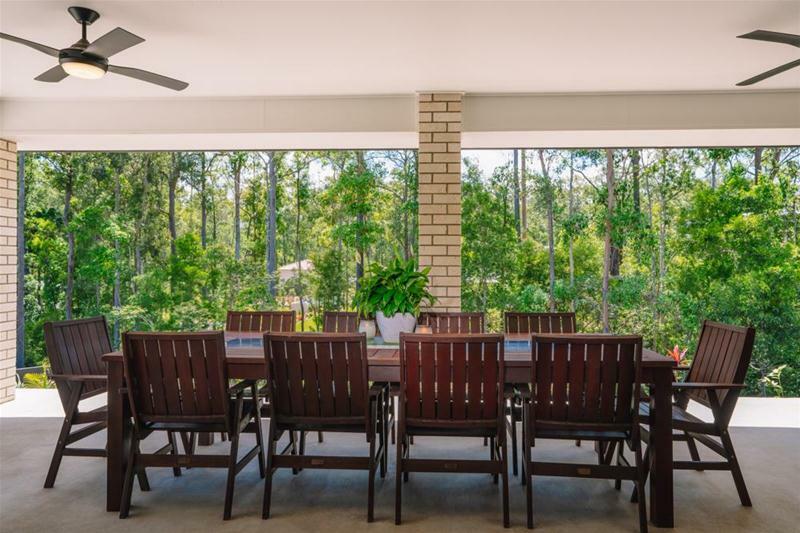 Perfectly positioned in the exclusive Palmview Forest Estate, this beautiful family home is everything you have ever dreamed of at a price you have never thought possible!! 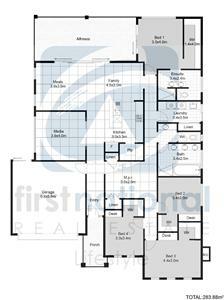 The Sellers are very excited about their new venture and need this to be there YESTERDAY! 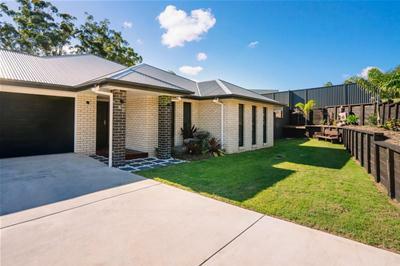 So, this is a great OPPORTUNITY for you to take ADVANTAGE of all the hard work that has gone into this property, at a price you never thought possible! 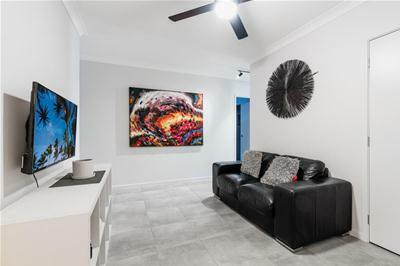 YOU WILL NOT be a slave to this HOUSE, the Sellers have been very creative when designing this home NOT to waste space on massive open plan living that is not "useful space". They wanted a very functional home with a place for everyone to escape. 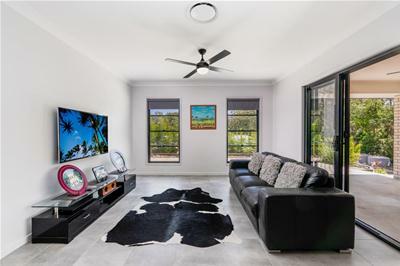 There ARE THREE living areas in this house including a LOUNGE/DINING a MEDIA ROOM and separate KIDS ACTIVITY ROOM. 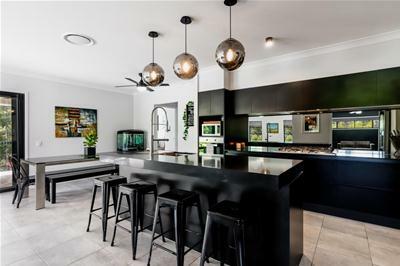 Located at the hub of the home is a kitchen that is packed with all the essentials you need to cater for all the family and guests you will be entertaining. 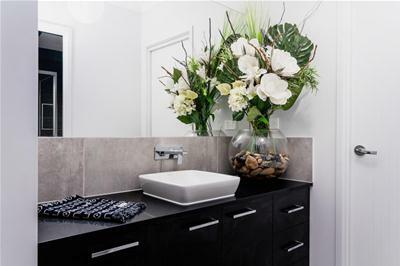 Featuring an ultra-wide Caesar Stone bench top, providing you with ample preparation space and a breakfast bar for busy mornings. PLUS, a walk-in pantry with an appliance bench and abundance of storage. The five burner gas cooktop, smoky mirrored splash back and the elegant pendant lights gives this kitchen the WOW Factor! A family room that has been cleverly designed to give you a dining area plus a separate lounge and uninterrupted access to the Alfresco. 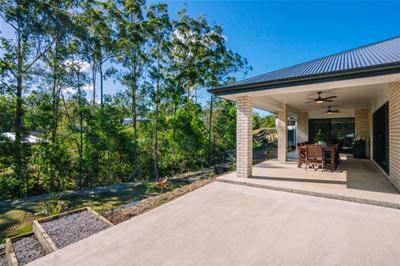 The alfresco is very generous for the size of the home; As this is where you will be spending so much of your time, the home is elevated and has a beautiful treed outlook, making it a wonderful feature of the home and allows you to capture the breezes all summer long. 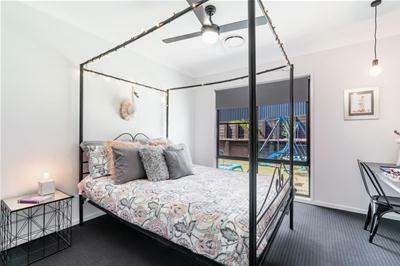 If you have up to three children, imagine them all having a larger than normal size bedroom PLUS their very own walk in robe, PLUS a built-in study desk! 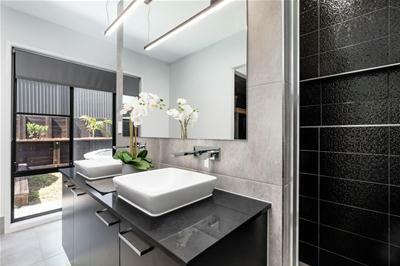 Imagine the look on their FACES when they run from their bedroom and discover they have their very own sink in the main bathroom. PLUS, there is a separate toilet and powder room eliminating a nervous line up during rush hour!!! 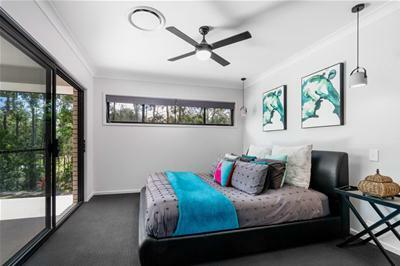 The master bedroom is just that MASTER! 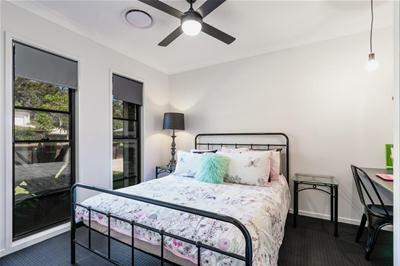 Located on the same side of the home as the other three bedrooms, so that you can keep an eye on the kids, but positioned at the end of the hallway! 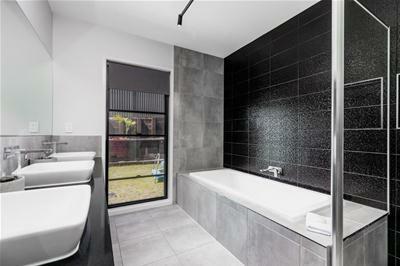 ; Keeping you nice and close to the kids, but definitely far enough away to give them their all-important privacy ;-) PLUS the walk-in robe is big enough for BOTH of your clothes and the very stylish ensuite. 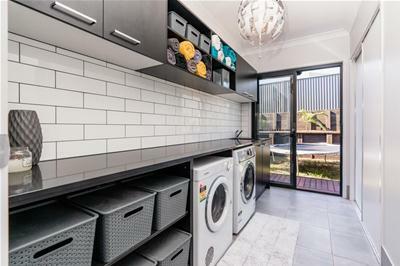 IMPRESSIVE laundry featuring a long stone bench top, under mount washing machine & dryer space, ample cupboard space including overhead cupboards PLUS, a double door linen press. 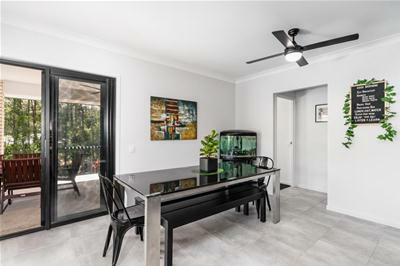 This home would not be complete without zoned ducted air-conditioning guaranteeing you comfort all year round; This HOME will impress the most DISCERNING buyer and will definitely make your family and friends green with ENVY. 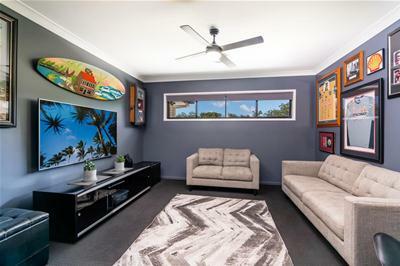 The Owners have made the best use of the land by spending up big $$ on retaining, giving you space for kids to kick the footy, play basketball and even back yard cricket. PLUS, there is room for a substantial shed and a pool. 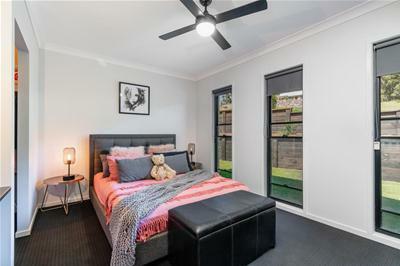 If you have been holding off in hope of finding the perfect family home that represents amazing value, then hold back no more! 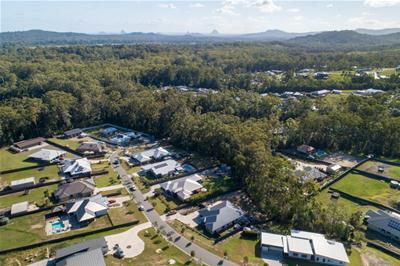 You and your family will thrive from being in such great company, living in such an exclusive neighbourhood surrounded by million-dollar homes, all on extremely large blocks. 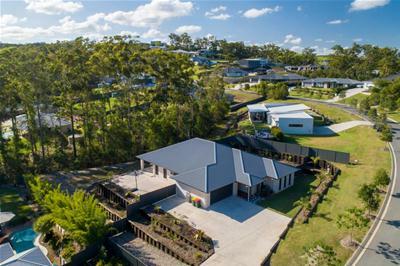 If you can see yourself calling this place home, please contact Gavin Flaton on 0414 826 687 today.